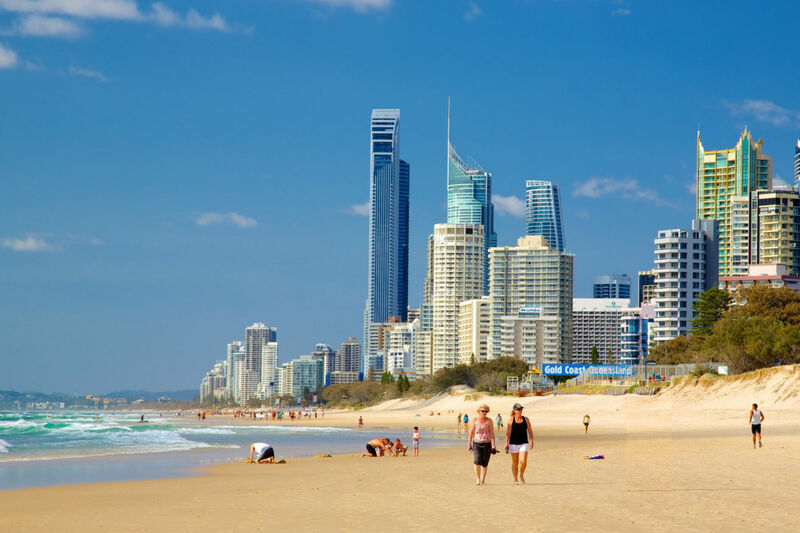 Heres our list of events on the Gold Coast and Surfers Paradise for the month of December. Merry Christmas to all and best wishes! 2018-12-09 – 2018-12-09 – Christmas with a twist – Come and sing along with us, and enjoy some contemporary takes on traditional carols and songs. 2018-12-09 – 2018-12-09 – Let there be AC/DC at BBQ Bazaar – A Queensland based AC/DC show that delivers as close to the real AC/DC experience as possible. 2018-12-08 – 2019-02-17 – Live and Local: Gold Coast Music Photography – Live and local is a showcase of artistic talent on the Gold Coast, where music and photography fuse seamlessly, and we, the audience, look on and listen in awe. 2018-12-08 – 2018-12-08 – ArtLab: Holy Shirt – Design and modify a t-shirt by learning how to make fabric designs, cuts and alterations without a sewing machine or fancy dyes. 2018-12-08 – 2018-12-08 – Free Family Fun Day – Come along to our free Family Fun Day at Imagine Childcare and Kindergarten Nerang on 8 December to help celebrate our brand new centre opening. 2018-12-08 – 2018-12-08 – Opening: Let There Be Rock! – We’ll be celebrating the opening of the exhibition with live music and a pop-up beer garden – join us for a cold one and a trip down memory lane. 2018-12-08 – 2018-12-08 – Hope Island Marketplace Grand Opening – The new heart of Hope Island, the shopping precinct you’ve been waiting for, will open its doors on Wednesday 5 December ahead of our glamorous grand opening on Saturday 8 December. 2018-12-08 – 2018-12-22 – Let there be rock! – An exhibition celebrating the heyday of the Gold Coast live rock scene, from 8 December 2018 to 17 February 2019. 2018-12-08 – 2018-12-08 – Arundel Christmas Carnival & Carols – Come along to enjoy carnival games, inflatables, selfie challenge, petting zoo, face painting, sausage sizzle and much more! 2018-12-08 – 2018-12-08 – Broadbeach Christmas Carols – Get your Santa hats ready and join us for the annual Broadbeach Christmas Carols event on Saturday 8 December from 3pm in Pratten Park, Broadbeach. 2018-12-08 – 2018-12-08 – Christmas at Capri – On Saturday, 8 December at 9am, Santa will arrive by boat at Capri on Via Roma. 2018-12-08 – 2018-12-08 – Carols by the Lake – Get the family into the festive spirit and sing along to your favourite Christmas carols with live on-stage entertainment at the 2018 Carols by the Lake in beautiful Varsity Lakes. 2018-12-08 – 2018-12-08 – Volunteer with BeachCare – Runaway Bay – Come along and care for your local beach with BeachCare. 2018-12-07 – 2018-12-07 – Friends of the Gardens Nursery Sale – Friends of Gold Coast Regional Botanic Gardens’ nursery is open on the first Friday of the month for sales. 2018-12-07 – 2018-12-07 – Guided Native Bee Walk in the Botanic Gardens – Find out more about these Australian stingless native bees and how you can have them in your garden by joining our guided walk. 2018-12-07 – 2018-12-07 – Christmas Markets at the Sanctuary – This festive season enjoy dinner on the Village green, Lorikeet feeding and shopping at the arts and crafts gift market, with carolers at every corner and festive fun for the kids. 2018-12-07 – 2018-12-08 – Night Markets at NightQuarter – Unlock the flavours of the Gold Coast bite by bite at the Gold Coast’s most iconic food destination. 2018-12-07 – 2018-12-07 – Flaskas Live at NightQuarter – Catch Flaskas live at NightQuarter this December! 2018-12-07 – 2018-12-07 – The Mouldy Lovers at NightQuarter – Enjoy this band who burst onto the scene nearly eight years ago in a dog day parade of sweat, swagger, muck and brass – Brisbane’s ramshackle tryst ‘The Mouldy Lovers’. 2018-12-07 – 2018-12-07 – Kayso Grande Live at NightQuarter – The shape-shifting, earth-quaking band that makes you and your friends want to holler and shout. 2018-12-07 – 2018-12-07 – Ministry of Sound: Orchestrated – HOTA, Home of the Arts kicks off summer with an outdoor concert celebration of the most loved dance tracks of the past 25 years. 2018-12-07 – 2018-12-07 – NightQuarter Spectacular Live in The Paddock – A mesmerising stage show set to surprise and delight. 2018-12-03 – 2018-12-03 – International Day of People With Disabilities – Come and celebrate with us. International Day of People With Disabilities celebrates the achievements of people living with disabilities. 2018-12-02 – 2018-12-02 – Christmas Variety Concert – Voice Weavers present all your favourite Christmas Carols in the comfort of the Tweed Heads Civic Centre Auditorium in an afternoon matinee performance. 2018-12-02 – 2018-12-02 – Christmas Carols at Oxenford Watersports Centre – Southport Yacht Club invites you, your family and friends to Christmas Carols at Oxenford Watersports Centre. 2018-12-01 – 2018-12-15 – Summer Reading Club – Be in it to win tickets to our amazing Libraries Day at the Currumbin Wildlife Sanctuary – just by reading through the summer school holidays! 2018-11-29 – 2018-12-02 – Australian PGA Championship – The Australian PGA Championship is back at RACV Royal Pines Resort, on the Gold Coast in Queensland from 29 November to 2 December. 2018-10-26 – 2018-12-07 – Summertime Sessions in the village – Enjoy free live music on Friday nights at the Summertime Sessions 2018-19 series – every Friday night from 26 October to 7 December. 2018-08-30 – 2018-12-27 – Weekly Gin and Jazz – Free weekly jazz by the Tonic quartet featuring Gary Mulholland on saxes, Ben Gilgen on keys/vocals, Philip Jack on string/electric bass and Cvitan Barac on drum kit. Fantastic food, refreshing drinks and awesome music! 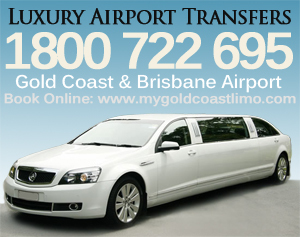 2018-08-04 – 2018-12-29 – Gallery Restaurant – Gold Coast Turf Club – The prestigious Gallery Restaurant is where you can enjoy a first class Seasonal Buffet with breathtaking views of the racecourse and the Gold Coast skyline. With tables presented on tiered levels, all guests will be perfectly positioned to enjoy a winning day at the races. 2017-09-25 – 2019-03-25 – Karaoke at The Avenue – The Avenue hosts the Gold Coast most popular Karaoke show every Monday night from 8.30pm. Featuring the amazing Karin from Red Hot Entertainment. Come and join the fun, where everyone becomes a star. 23 December 2018 – Carols on the Beach – It’s the Gold Coast’s biggest Christmas Carols event, held under the stars on the beautiful Surfers Paradise Beach. 13 – 24 December 2018 – Christmas in Surfers Paradise – Gather family and friends to enjoy the spectacle and fun of balmy Christmas nights in Surfers Paradise. 27 December 2018 – 1 January 2019 – New Year’s Carnival 2018 – Bring a crowd and count down the New Year beneath the fireworks in Surfers Paradise!